Tomorrow is Earth Day and the girls requested Earth Day Smoothie Bowls! I knew Earth Day was tomorrow but I hadn’t planned on doing anything other then planting seeds in Go Macro trays I was saving as the trays could be planted directly in our garden. Well Mother Nature has had other thoughts on that as it’s been so cold and rainy, and even snowed last week. It doesn’t last but plants won’t survive. We might just end up planting a few indoors. A asked about our Earth Day Smoothies or what we were making and I wasn’t sure and realized we’ve done a smoothie or something fun every year for at least the last 5 years. 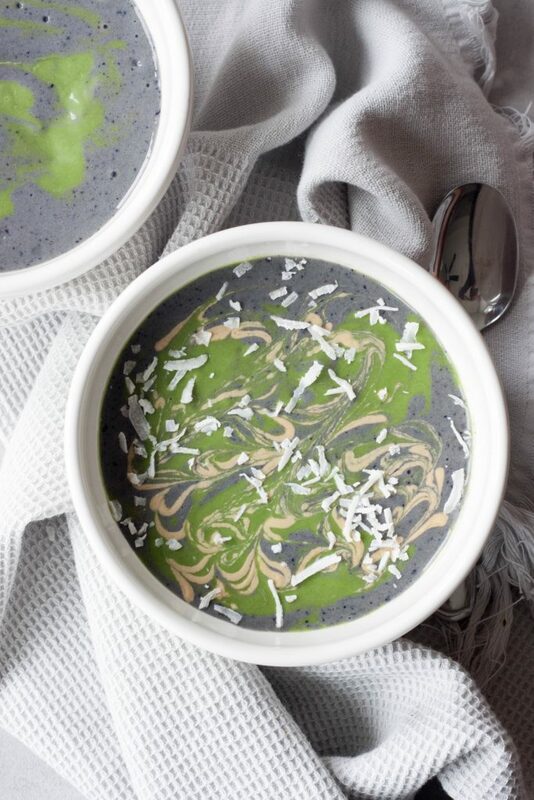 I took a simple fun classic an Earth Day Smoothie I posted 3 years ago and used it as inspiration to make this Earth Day Smoothie Bowl. I had no intention of posting this or a recipe for Earth Day but after their excitement over the simple things I scrambled to get some pictures and get this up for you in hopes that it would inspire you and bring you the same happiness and excitement. Things have been crazy here and I have over a dozen recipes photographed and written I just haven’t gone through the photos and gotten them up. I have some exciting things coming, you won’t want to miss the first week of May, and I’m trying to balance the start of the busy soccer season and summer that I’ve always been so prepared and ahead of. This isn’t the recipe I had planned, I had something exciting for Cinco de Mayo planned but I will bring that to you early next week so you have time to prepare because it’s so good! It was even a learning experience as A was explaining to me what the white was over Earth and what kind of clouds so our toppings were white and a little off white, since depending on how far away you are from Earth when viewing it it will look different. 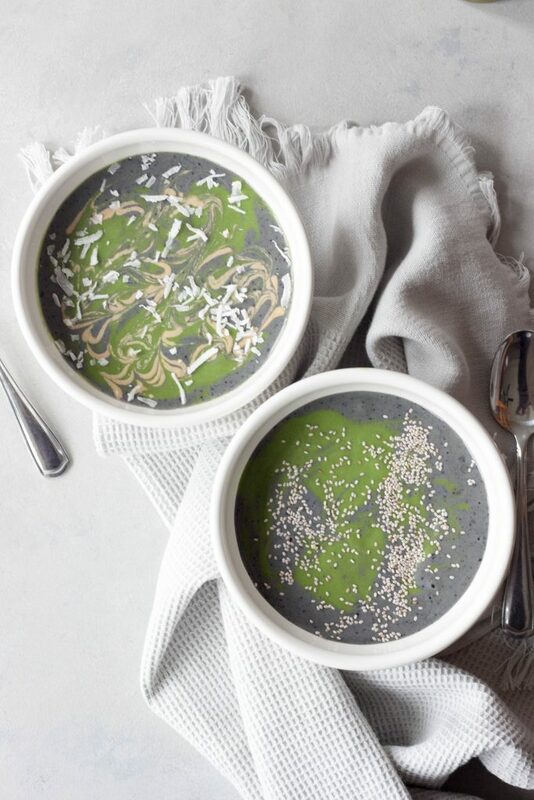 Earth Day Smoothie Bowl with peanut butter swirls and shredded coconut. This is an easily adaptable smoothie and I tested a few different things which I will note below. It can be as simple as you want with just frozen fruit, spinach, and non dairy milk or you can customize it as we did using favorites, protein, and things we add to our smoothies that we had on hand. It’s perfect for breakfast or snack and your kids will have fun, ok maybe you too if you’re like me, swirling the colors around. If you are looking for something with chocolate instead you might like this Eat Dirt Protein Smoothie! Still love this one, and not just because of the fun name. I’m happy A asked if we were making a smoothie because we always have a fun time making them even if it’s a simple combo before school because they get to pick combinations, and toppings for smoothie bowls. We still love them and enjoy them regularly, especially now during the soccer season through early fall. I just think back to the day when pretty much all I posted was smoothies on the blog, even crazy ones which I laugh at now with all the unicorn trends since people thought rainbow smoothies were cool but a little crazy or too hard. I stopped posting them so much trying to switch things up, then I went to only posting 3 days a week so they got cut down even further. I have been putting up daily eats and smoothies on Instagram Stories after a few people reached out so if you’re looking for more there is lots of inspiration, just click Shakes and Smoothies on the top of my homepage or follow along on Instagram. Are you doing anything for Earth Day tomorrow? I’m now debating a hike but sounds like it’s going to rain so looking for ideas. *If adding protein powder you will need less banana. **If using green juice my favorite to use is Juice So Good Fierce Green or Sweet Greens. I also tested with Suja Uber Greens and Radiant Probiotics. Look for one that is mostly greens and not fruit and doesn’t contain peppers or things that might not go well with the other flavors. Tested with So Delicious Unsweetened Coconut Milk, Calfia Almond Milk, Juice So Good Cashew Bliss, and Unsweetened Ripple (plant protein milk that I use often in the girls smoothies). For toppings we used Salba White Chia Seeds for topping one, and a 1:1 mixture of Wild Friends Peanut Butter and So Delicious Culinary Coconut Milk as well as Trader Joe’s Unsweetened Organic Shredded Coconut on the other. In a Vitamix, or high-speed blender blend together the ingredients in for the blue smoothie layer, using 1 banana to start. Use the tamping tool and blend until smooth and thick, adding more banana as needed to reach desired texture. Pour or spoon into bowls. If you want to have kids layer and do their own or layer them in a glass place blue smoothie in a pint jar while blending the green smoothie. Rinse Vitamix and blend green smoothie layer until smooth. Layer with the blue or place in a pint jar so you can spoon between the two smoothies layering in a glass or bowl as desired. Top with toppings as desired. Enjoy! 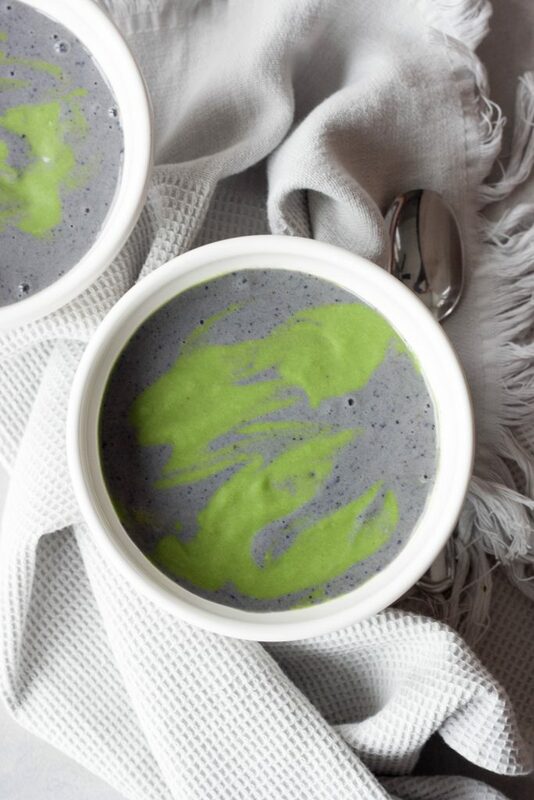 Fun and healthy Earth Day Smoothie Bowl that kids and adults love! 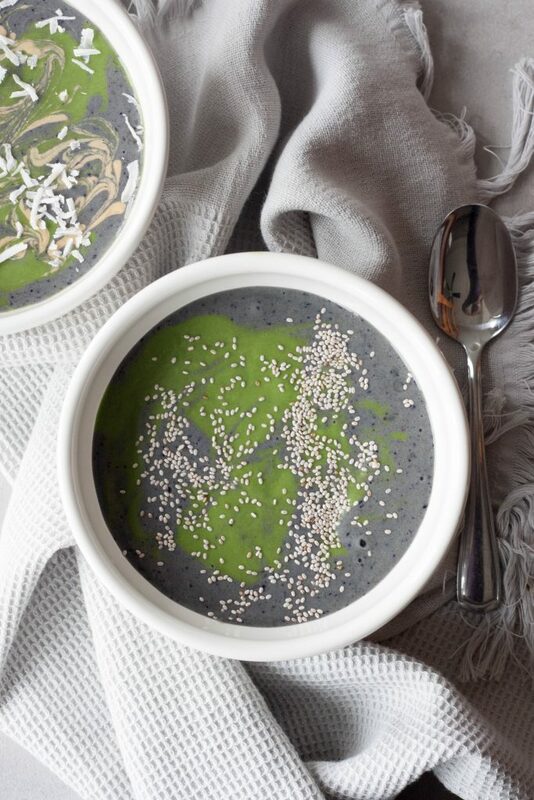 Simple to superfood packed this smoothie bowl is customizable. you do have the most creative smoothies!